Today, improvements in printer and scanner quality and capabilities, and knowledge about bar code media and related issues, have in general made the technical performance problems a rare issue. But problems are certainly still not unheard of. Significant issues must be considered: who needs what data and when? 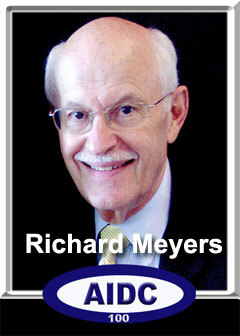 Richard Meyers was one of the most recognized figures in the bar code industry during that time, and also a charter member of the "AIDC 100," where he is still active in the organization. In the mid-1980s , Meyers developed a list of "Bar Code 10 Commandments," very useful for avoiding the most common implementation problems. Meyers delivered presentations on his list of commandments at dozens of industry events for more than a decade, heard by literally thousands of people hoping to avoid their own "bar code bloopers" (the title of another often delivered presentation of the era). This week, we summarize commandments 6 through 10. Take a look at the commandment below. Will be a trip down memory lane for those involved in those exciting days back then. The second largest problem observed at user locations is the failure to match the resolution of the scanner to the density (CPI) of the media. Stated another way, the size of the spot of light coming out of a scanning device should be slightly less than the narrowest element ("X" dimension). The second largest problem observed at user locations is the failure to match the resolution of the scanner to the density (CPI) of the media. Stated another way, the size of the spot of light coming out of a scanning device should be slightly less than the narrowest element ("X" dimension). If the scanner resolution or spot of light is significantly smaller than the narrowest element, scanning is not only difficult but errors can readily occur. However, moving-beam laser scanners are much more forgiving than earlier forms pof bar code scanning. KEY POINT: For the most effective and reliable scanning, be certain that the resolution of either contact or non-contact devices be matched properly to the narrowest element of any one symbol. If there are applications that demand the scanning of a wide variety of narrow elements, non-contact scanners may be required. The height of the bar code pattern is a factor that must be considered when using any type of scanning device including moving-beam lasers. However, the height factor is most important when hand-held wands or fixed-beam laser scanners are used, and can often be the difference between easy and difficult scanning. As part of the scanning process, the beam of light must start and finish in what is called a quiet zone at either end of the bar code. When the appropriate ratio of code height to quiet zone width is not maintained, scanning problems can ensue. KEY POINT: For the most effective and reliable scanning, use published industry standards for specific guidelines for the dimensions of code height and quiet zones. Many user numbering schemes include both alpha and numeric characters. They often are very large in order to identify parts, products, items, SKU's, etc. It is common to see 20 to 25 digit identification numbers. Those numbers are fine if they have real value. All too often, the only explanation of why a number is so long is "that's the way it's been done for 30 years". In the Dark Ages, that rationale may have been appropriate. In the modern world, it costs money to process every piece of data. Therefore, it becomes prudent to diminish whenever possible. The use of "license plate" ID numbers which point to a large record of data, such as a specific work order with many fields, is usually recommended over putting the full data in the bar code itself. KEY POINT: For the ease and simplicity of scanning, use the shortest possible encoded fields even if a directory file is required. Take advantage of bar code implementation by thoroughly examining current numbering schemes to ascertain if they can become more efficient and modernized. Independent of the effort put forth to design a system, purchase hardware and develop software, the single biggest test of implementation occurs when an operator attempts to scan bar coded media. This can be a pleasant experience (it is most of the time) or controversial. The former leads to success; the latter can result in frustration and equipment sabotage (literally). The system must be user friendly. One useful measure is first and second pass read rates. Low numbers in these categories causes great user frustration. Companies often do not perform enough user training, making the work harder for operators. KEY POINT: Low read rates are indicative of many possibilities but typically they are poor quality media or inadequate operator procedures. Media quality is addressed by proper verification methods and environmental testing. Excellent operator performance will be achieved with training sessions that emphasize CONFIDENCE building along with the use of tools like Data Identifiers or Application Identifiers. The implementation of bar coding must be user friendly at the point-of-scanning. Nearly all user applications can be addressed with bar codes in one form or another. It is fortunate that this industry offers a wide variety of outstanding hardware and software. Reputable suppliers are ready, willing and able to properly support the many aspects of bar coding. However, it is important to understand that bar coding is not a system. It is an extremely effective tool that provides the timely and accurate capture of data that feeds management information systems. Therefore, significant issues must be considered: who needs what data and when? What kinds of decisions must be made? Planning must be done to define why things will happen and how they will occur. These are the questions and ingredients that make up a good system. The system definition must be complete prior to the use of bar code. KEY POINT: Deal with suppliers that have extensive systems experience as well as in-depth knowledge on bar code and other automatic identification technologies. Be certain that both hardware and software issues can be addressed. Work with support sources that can significantly contribute to the planning, training and implementation processes at a systems level. Be certain that these services will be available for an extended period of time to accommodate the continued expansion of bar code. Are any of the commandments still relevant today? You can judge for yourself, but certainly things like paying close attention to the media used and thinking about numbering schemes will always have a place. The rest seem not too compelling today, but left us wondering whether we need a similar set of commandments for the still little understood area of RFID. Have any suggestions there? Send them to us at the Feedback button at the bottom of the page. Are any of these bar code 10 commandments still relevant in today's world? What are your recollections of that era? Do you have any suggestions for RFID commandments today? Let us know your thoughts at the Feedback button below.